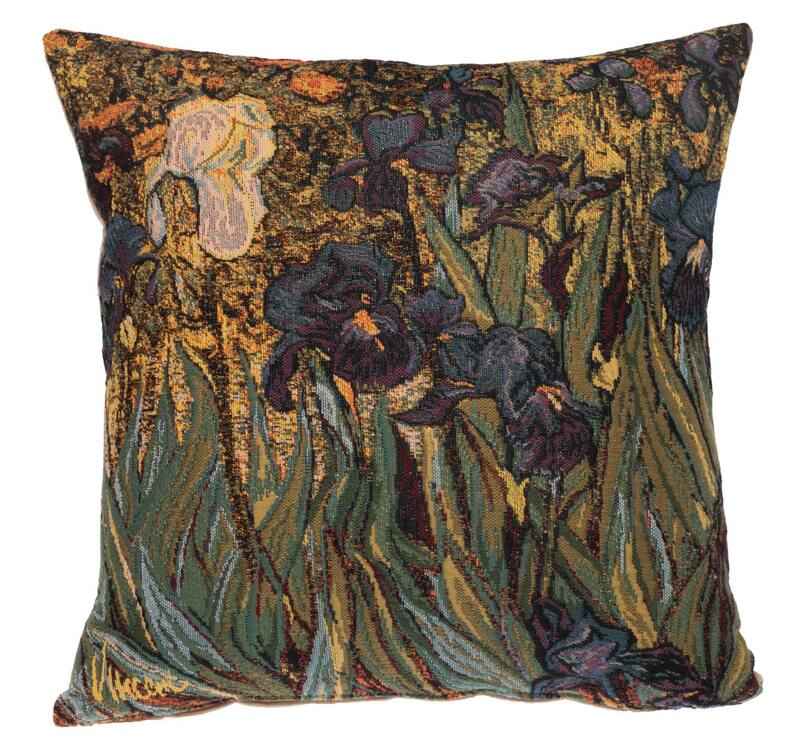 This Museum Collection gobelin cushion cover shows part of the famous painting Irises by Vincent Van Gogh (30 March 1853 – 29 July 1890), a major Post-Impressionist painter. 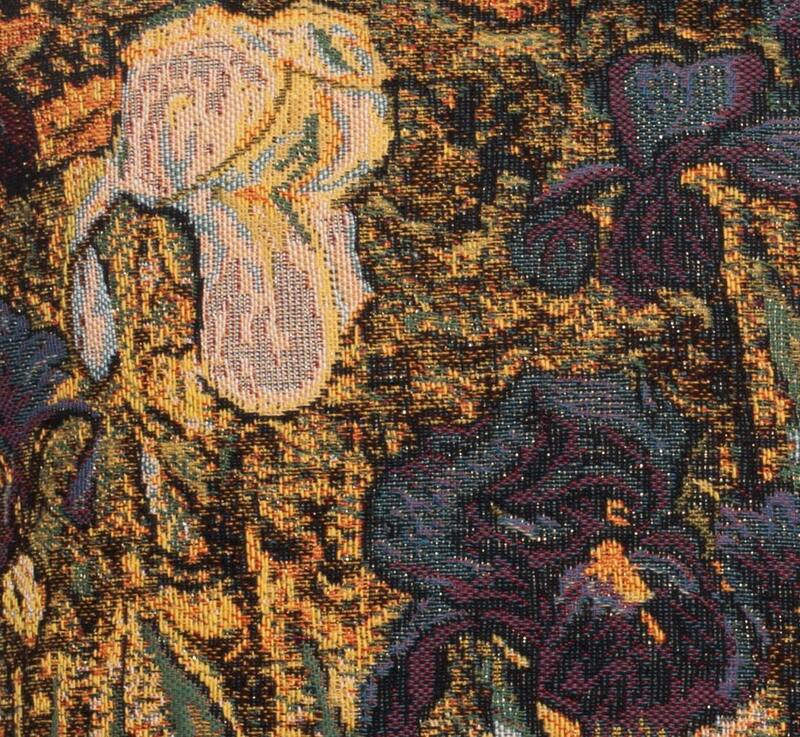 He was a Dutch artist whose work had a far-reaching influence on 20th-century art. His output includes portraits, self portraits, landscapes and still lifes of cypresses, wheat fields and sunflowers. Van Gogh drew as a child but did not paint until his late twenties; he completed many of his best-known works during the last two years of his life. In just over a decade he produced more than 2,100 artworks, including 860 oil paintings and more than 1,300 watercolors, drawings, sketches and prints.